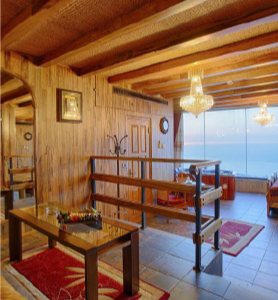 An elegant suite offering a perfectly situated spa tub surrounded from all sides by panoramic views of the Mediterranean sea, and a seating area also overlooking the view. 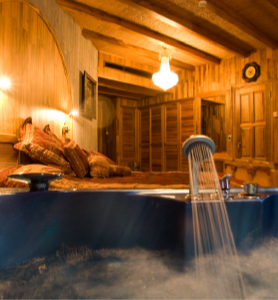 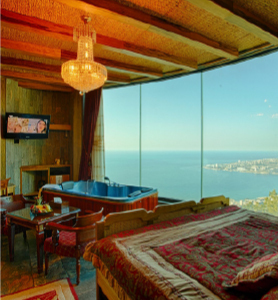 A cozy corner suite offering a spa tub overlooking an enchanting sea view. 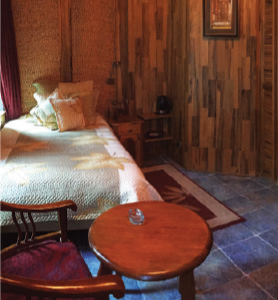 The single room offers a cozy feeling and unique design, including a single bed and a street view.